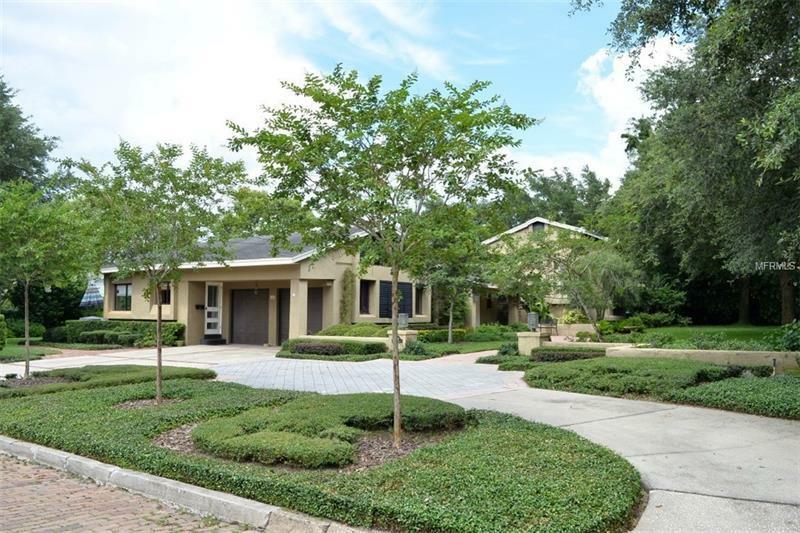 Charming Home close to Downtown Winter Park With a Large Living Room "Once a Art Room", A Piano Room and A Large Family Room! Downstairs Master Bedroom..with lots of Closets and Bath.. .. Another Downstairs Bedroom with a Walk-In Closet and Personal Bath. Upstairs Bedroom with a Large Closet/Storage Room, Bath and an Open Balcony! Office Downstairs by the Living Room. The Kitchen is completely updated with a Gas Range+, Large Dining Room....Everything is Spacious..Even the land 160x130......48% of an acre!